If you’d like to watch our shows, learn how to improvise or hire us for a show or workshop, we’d love to talk to you! We're also always hungry for feedback (and compliments), so please let us know if we can do things better for you. Or if you just want to shoot the breeze, we're here to talk too! And to all visiting improvisers from around the world: you're always welcome here! Sign up for our mailing list here - you'll get updates on upcoming shows, classes, and special workshops! We will never disclose your personal details to third parties or send you spam. 🐓The Weekend ain't over yet!🐓⠀ ⠀ Add some laughs to your St. Patrick's Day by supporting our latest batch of 201 graduates! It'll be an hour of wild 'Whose-Line' style games, and only for $5 a seat! Don't miss out! 🔥🔥HELL'S KITCHEN🔥🔥⠀ ⠀ The Company Players would like to thank everyone for watching The Dinner Party this quarter! 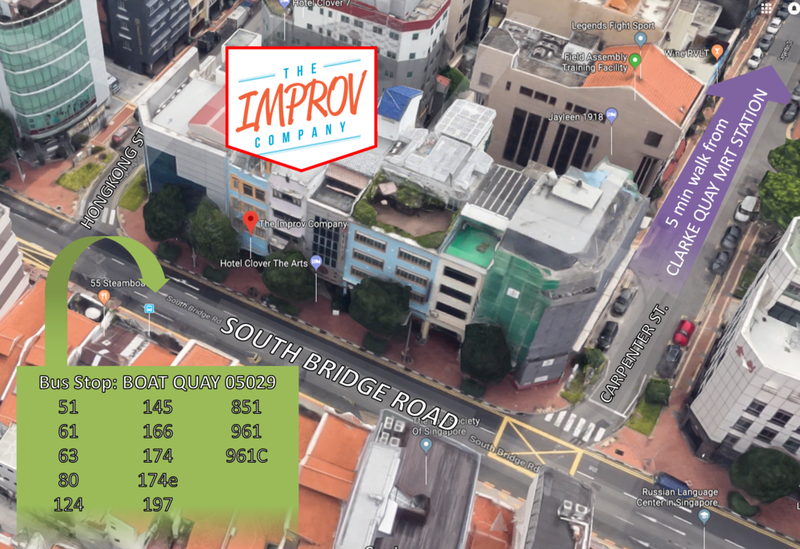 With your help, we've made little changes to our recipe before bringing this abattoir of a show to the Manila Improv Festival 2019! Bon appétit! Hark! Our scholars from 💀First Draft Shakespeare💀 doth thank our kind patrons for being great sports at their Preview Show!⠀ ⠀ Alas, they trim their frigate sails and journey in haste to join their improv brethren at the 🇵🇭Manila Improv Festival🇵🇭! Godspeed! 👩‍🍳👨‍🍳LAST ORDERS👩‍🍳👨‍🍳⠀ ⠀ We have one final round of outrageous confections to serve at The Dinner Party: Back for 2nds (by The Company Players)! Grab a seat quickly before we move our kitchen to the Manila Improv Festival 2019! https://buff.ly/2QdWUqj⠀ ⠀ *No rubber chickens were/will be harmed in this production. We’re just one of HUNDREDS of improv communities around the world! Feel free to use this map to find a community in your travels!